The desire for a Bluetooth connection in one’s car has increased in the past few years due to more and more drivers carrying smart phones, tablets and other Bluetooth devices. A lot of places now enforce laws limiting the use of cell phones in cars, and Bluetooth car stereos is one method of bridging the middle ground. Drivers of older vehicles often find that their outdated electronics won’t support Bluetooth settings in their current factory standard cars, which is fortunately not a problem as there are several convenient ways one can install Bluetooth in car. 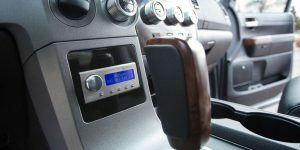 You have a few options available to you which include the replacement of your existing car stereo with a newer one that comes with built in Bluetooth, model-specific car radio adapters, and universal Bluetooth kits. There are a variety of different designs and packages when it comes to Universal Bluetooth kits. These range from the basic Bluetooth receiver with a 3.5mm output jack, dedicated speakerphone kits and Bluetooth FM transmitters. A Bluetooth FM transmitter receives audio content from a smart device via Bluetooth, and then transmits that content to the car radio through an FM radio transmission. These versatile devices are compatible with any FM radio receiver including boom boxes and home stereo systems. They are however not ideal for persons travelling long distance as the constant scanning for new and open frequencies may interfere with your listening pleasure. Also, they can easily be eavesdropped, even unintentionally, by an FM radio in reception distance from the device. Imagine the surprise to someone when suddenly your voice is being transmitted over their audio system. Bluetooth speakerphone kits are ideal for persons wanting a Bluetooth connection for the purposes of hands-free speakerphone connections. These kits have built in microphones for both listening to calls out loud and also for receiving conversation. 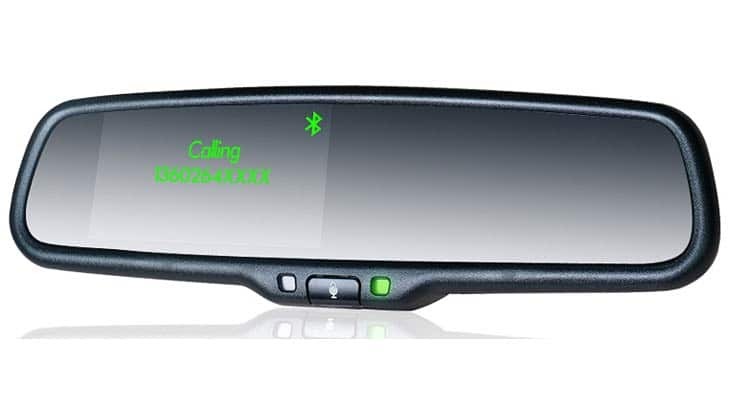 Some of these devices clip to the visor or mount to the dashboard of your car. Basic Bluetooth receiver dongles come with a 3.5mm line out and is a great option due its simplicity. If left plugged into the auxiliary power, the Bluetooth dongle automatically turns on when the car starts, and connects automatically to the smart device. The advantage of using a Bluetooth USB dongle is that you can use it in more places than just inside your car. If an audio cable is run from the “aux in” jack of your car down to the 3.5mm output jack of the dongle, you smart device audio transfers instantly to the stereo system upon starting your vehicle, with no other connecting or switches. The downside to this set up is that nothing happens automatically. Should one receive a phone call while listening to music playing on the tuner of the radio, the input of the car radio first has to be switched over, allowing the audio to come from the auxiliary channel. Since the only interface the radio has with the device is an audio cable, smart control directly from the radio is also not possible. Model-specific Bluetooth car stereo adapters fully integrate into your car’s factory supplied stereo and are vehicle-specific. 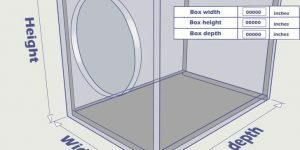 Generally installation requires the full removal of the current stereo, connecting necessary cables, and positioning microphones on either the dash or visor. Once this is done call sounds and music play directly through the stereo’s speaker system. 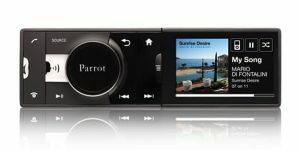 Many units can handle music streaming as well, with many able to control the selection of the music directly from the radio. If you are willing to make a bigger investment you can purchase an entirely new car stereo that comes with Bluetooth built right in. Many car stereo manufacturers such as JVC, Kenwood, Pioneer and Blaupunkt offer models with Bluetooth. Many times, this route is the easiest since plug interfaces tend to stay standard per manufacturer. So installing a new unit can be as easy as removing the old one and plugging back the integrated power/speaker plug and antenna into the new system. Certain stereos are more advanced than others and feature functions like touchscreen interfaces, GPS and a number of other handy features. 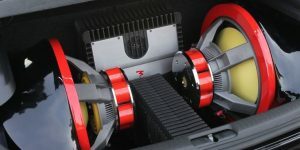 Something one should consider when making such a purchase is that not all Bluetooth car stereos have built-in microphones for speakerphone functionality. This can hamper the user-friendliness and ease of use for a system. If one has a choice, it is thus better to go for a system which will allow hassle free usage. Some stereos can save your smart phone’s entire address book in its memory, and will automatically turn down the sound of music or videos playing when an incoming call is received. Dialling out a number can thus be done directly from the radio interface, while your phone is safely stored away in your pocket. 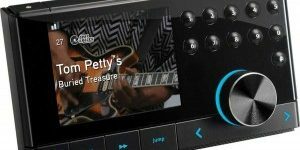 Each year new technology is designed and released, so when comparing Bluetooth-enabled car stereo systems to the age old tape cassette-enabled car stereos is already like a major throwback onto the Middle Ages. What the future holds only time will tell.